She sat in her rocking chair in front of the big picture window. On a small oak table sat her old gramophone. Softly playing scratchy tunes from her childhood. She smiled as she listened to songs from so long ago. There was no sadness in her eyes. Only shadows of memories past. Happy times of long ago when things were simpler. She was a young child again. Playing in her granny’s garden among the flowers and the birds. Carefree times. 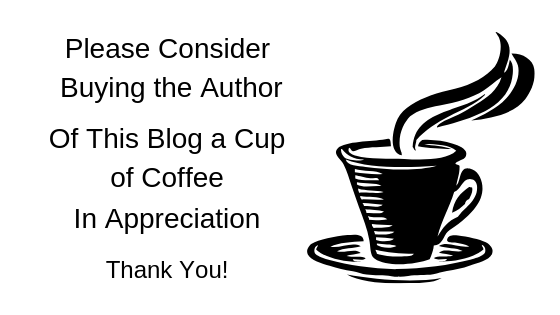 She saw herself pouring tea in tiny china cups from a tiny china teapot. They had small red roses on them. Granny would fill her tiny teapot with afternoon tea and she would carefully take it out to the garden for all her dolly friends to share. Sometimes granny gave her beautiful sugar cookies to have with her tea. 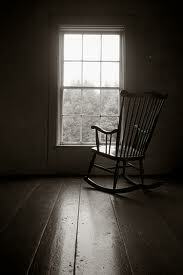 The old woman sat further back in her rocking chair as memories floated back to her. The music played on and in her mind she was a young woman again. Childhood tea parties gave way to evening dances in friends homes. Laughter and clinking of cocktail glasses. Chiffon dresses in soft hues of colors. Up swept hair and heels on her feet. Handsome young men vying for her attention. Soft smiles and flirting eyes. Whispers of affection and daring kisses in the dark. Love had found her. She sighed softly as the memories then turned to motherhood. Her man proud of the children she gave him. Their love growing deeper as they watched those children grow. Soft baby laughter. First steps, first words uttered from smiling baby lips. Feeling once again those small strong arms giving her hugs and big wet smacks on her cheek. The love that withstood teenage drama, and the tears and fears of growing up. She relived those times with other baby laughter and strong hugs of affection that are her grandchildren and great-grandchildren. Even as she remember the sad day that the love of her life passed, her smile dimmed but never completely left her face. Silent tears slowly ran down her face as her memories of having to say good-bye came back to her. How she missed him. His laughter would ring out and fill her heart. His way of surprising her with gifts for no reason at all. 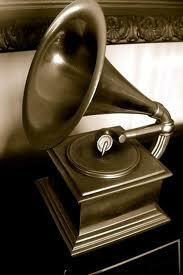 Like the gramophone that softly played onward. His gift to her one week after they were married because he knew how she loved to dance. Her tears dried as other memories marched forward. All good, even the bad. They were her life. Her heart. Her soul. She sighed as she smiled. Her eyes softly closed, her body relaxed. Her spirit floated upward, drifting, then she felt him catch her hand. Once again she was in his arms, her smile brighter as she said a silent good-bye.